We talk to Bede Cheng from L'Immagine Ritrovata – a lab behind restored versions of classics such as Fruit Chan's "Made in Hong Kong", screened among Genre Classics at this year's Five Flavours, John Woo's "Better Tomorrow" and King Hu's "A Touch of Zen", both presented at the 9th Five Flavours. Emilia Skiba, Five Flavours: We're meeting at the Hong Kong office of L'Immagine Ritrovata. How did it happen that an Italian film restoration company opened its lab also in Hong Kong? Bede Cheng, L'Immagine Ritrovata Asia: The company is based in Bologna, Italy, but it was in 2008 when they got their first job from South-East Asia which happened to came from the Hong Kong Film Archive. It was "Confucius" from 1940. Since then the number of commissioned Asian films was increasing. I was still working for the Hong Kong International Film Festival in 2008 but I went to the FIAF Summer School in Bologna and it was how I met people from the lab. They were getting more and more films from Asia so around four years ago the idea of opening a lab in Asia occurred naturally. The Hong Kong lab is smaller but it's equipped in a scanner so clients from South-East Asia – like Hong Kong, Taiwan, Singapore, the Philippines or Korea – don't need to send their original material all the way to Italy. It's very convenient and the interest is growing. In Europe and the States the concept of film restoration has been around for a while but it's still quite new here. However, there's now more interest in the commercial potential of old films. That's why we're here. What does your work involve here? We do the first part of the restoration which means the accurate handling of the original film materials. When a film comes in, we repair it, clean it and put it in the scanner to turn the image into digital files. They can be later copied to a hard disc which is then send to Italy for further restoration. What does the further restoration mean? It involves removing the elements that are not supposed to be on the film, like dirt, dust, scratches, mould – well, this cannot be removed but we find a way to cover it. We try to bring the film to the original state as much as it's possible. Who are your clients? You mentioned briefly that these are mostly companies form Asia. Yes. They are film companies, film archives. Private clients, too. There are for example film directors who want to have their film restored. But these can be also clients from outside of the film industry. We had a bank that had some films to be digitalised but also an older gentlemen who had a film from his wedding thirty years ago and wanted have it restored. Do you encourage film restoration? For example while working with the film archives? We do. We're at film markets like Filmart for visibility. Besides, because the Bologna office is in business since 1992, the references play an important part, we're already quite famous in this field. Sometimes the film is not commissioned immediately and it takes time to find the common ground. Has the trust to film restoration increased in the recent years? Yes and no. It does need time. I can see some increased interest in restoration for example in Taiwan. Some of these restored Taiwanese classics, like King Hu's "A Touch of Zen" and "Dragon Inn", were shown at big festivals like Cannes in the Classics section to receive very good coverage. We did both of them. In general, institutions realise more and more that it's a way to promote their culture, history, heritage. How long an average restoration process would take? I'd say that average time would be four to six months. It can be longer if the material is more damaged and more difficult to work with because of it. An example of a challenging restoration can be "Made in Hong Kong". It was a no-budget production and Fruit Chan pieced together different film stocks to make this film possible. 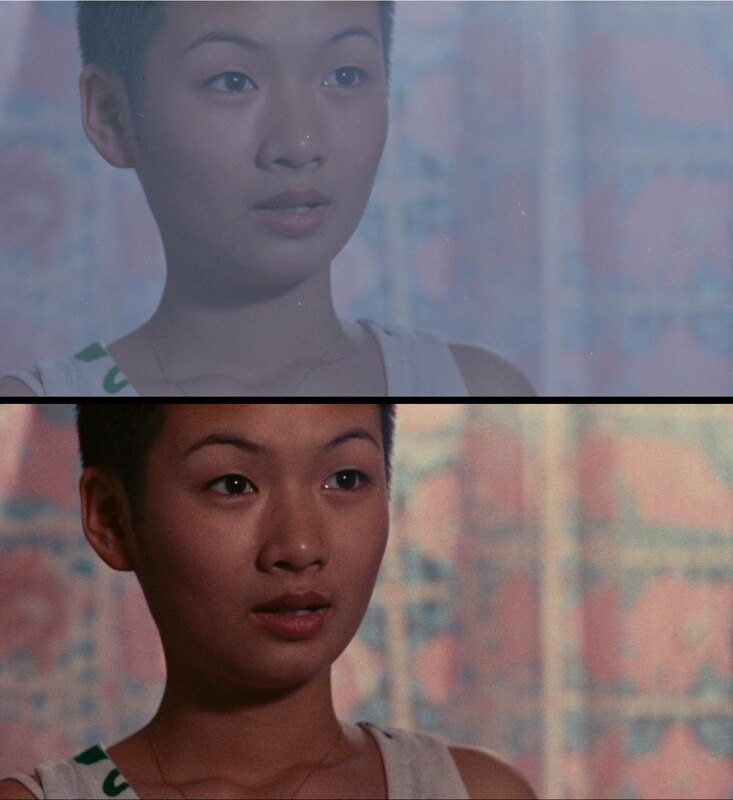 So you can still see now that the colours in the film can change completely because of it. We knew it also because when we put the material in the scanner and set it to read the material according to the nature of the film, the scanner would stop after the film stock changed because it's so sensitive. Then we had to programme it again to read the next reel. Some challenges came with films for example from the Philippines because there was a lot of dirt on the material. Then it takes a lot of time to clean it and also scan and repair it. What do you mean by "a lot of time" while scanning? Ideally, the scanner would run one frame per second. But sometimes it takes more because it's so sensitive. If a film is challenging we'd supervise the scanning process very closely. What challenges does the restoration bring besides the work in the lab? Getting all the materials that we can work with. Sometimes we receive the material with parts of the film missing. At times even people who commission us the work don't know where they can locate the missing pieces. It can take years to collect all the materials. How many films do you restore yearly? We restore about 15 films per year. Even before the Hong Kong lab opened, L'Immagine Ritrovata restored Bruce Lee films and John Woo's "A Better Tomorrow". Your background involves working for film festivals and I can imagine you have a list of films you'd recommend for restoration. I must stress that as a lab, we are a service provider, we don't restore films for our own distribution. But yes, my personal list would be long. I'd start with Hong Kong films from the 80s. It would be great to restore them before all the materials are lost. Have you ever faced dilemmas caused by a situation when e.g. a producer commissions you a work but it's a film the director isn't very proud of and doesn't want it to be restored? No, we haven't had such situations. But we face a different challenge. Films shot digitally can be easily made looking crispy clean. Some directors already forgotten that while you shoot on film, your work will have flaws, for example some shots will be out of focus. The restoration is not here to correct such flaws. What do you think the future will bring for film restoration? Given that technology changes rather quickly. The restoration itself is not the final product. There can be new original materials discovered and the film can be restored again, using new technology which is going to get better and easier. Still, the digital discs last just a few years and the film remains the safest medium. And you never know when the hard disc will crash but it does happen. 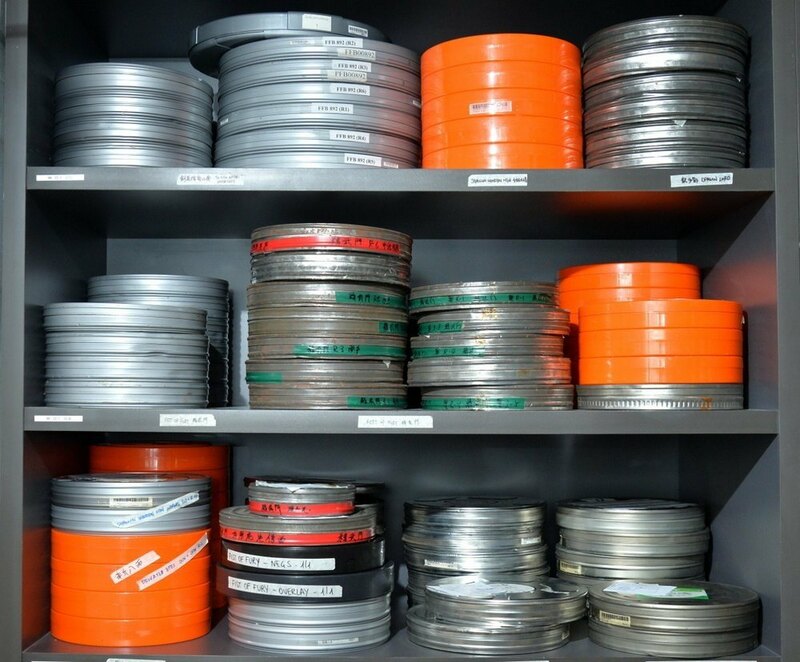 We encourage our clients to produce a 35mm inter-positive if they have space and proper conditions to store it in. It's the best way to keep the film, it can be stored for a hundred years. I remember when the distribution switched to digital, there was enthusiasm that it was so cheap. I don't think it's cheap if a DCP lasts only a few years. The print can last many more.